Witnesses included Karyn Temple Clagett, Associate Register of Copyrights and Director of Policy & International Affairs for the U.S. Copyright Office; Rick Carnes, President of the Songwriters’ Guild of America; Casey Rae, VP of Policy and Education for Future of Music Coalition; Professor Michael Carroll of American University Washington College of Law; and Thomas Sydnor II of American Enterprise Institute. Right out of the gate, Rep. John Conyers (D-MI) noted that there could have easily been four separate hearings conducted on these issues. We’re inclined to agree. Carnes, writer of hits for artists like Garth Brooks and Reba McIntyre, emphasised the importance of moral rights for U.S. artists, citing the Universal Declaration of Human Rights and the notion that musical artists often maintian a connection with their work that is deeply personal, even familial. While Carnes acknowledged the importance of free speech as protected by the fair use doctrine, he urged that a balance be struck with moral rights that would give artists more leeway in preventing uses to which they objected. “Just as we never want to inhibit the free exchange of ideas and opinions in our society, we should similarly never allow the fair use doctrine to threaten to overwhelm, control attribution and economic rights of creators,” he said. Carnes also noted the SGA’s staunch support for termination rights as an important expression of creators’ rights. He directed the Committee to SGA’s written testimony, outlining five principles for a moral copyright system, including elements such as the establishment of a small claims court system, a fair market value compensation system for musical works (including the right to terminate after a term of years) and complete transparency throughout the licensing and payment process. As noted in an earlier post, FMC’s Casey Rae focused termination rights for recording artists and songwriters, describing the “second bite at the apple” such rights provide creators who had earlier granted their works to labels or publishers. Casey made the case that all authors—including recording artists and songwriters—are eligible to reclaim their copyrights under Section 203 of the U.S. Copyright Act. 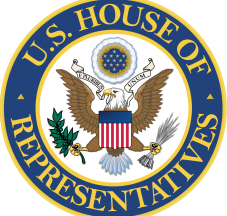 When Rep. James Smith (R-MO) asked Casey about the impact of copyright term extensions independent artists and creators, Casey noted that one policy aim should be advancing a fundamental respect for copyright, a goal that may be compromised if current copyright terms are further extended. Carnes pointed out, as did Sydnor in his opening statement and later during testimony, that piracy has restricted the term of copyright to the point of time between creation and upload to the Internet. Carnes suggested that many creators may not have access to expensive lawyers to fight infringements that amount to a loss of control over their work. Professor Carroll, who also is a founding member of Creative Commons and who runs the U.S. branch of the organization, discussed artist attribution and the fact that, even when compensation may not be desired, attribution almost always is. Professor Carroll also discussed copyright terms and stated that the average current term (life of the author plus 70 additional years) is too long to achieve the incentivizing purposes of the limited grant of rights originating in the U.S. Constitution. Professor Carroll also noted that currently under U.S. law, there is ambiguity as to whether creators can permanently dedicate their works to the public domain in advance of a copyright’s natural expiration. Syndor noted that while copyright term is controversial, Congress should stay more focused on piracy, which makes the life of copyright—or at least certain exclusivities—less relevant. While we’re glad that Casey was able to particpate in the hearing, we know that this is only the beginning of a much longer process. Once thing is for certain: wherever Congress decides to go from here, we’ll be paying close attention and reporting back to you.